“Everything and nothing you’ve ever heard before done right,” Alex Turner, the lively and charismatic drummer for Long Island-based group Echo Sonic, described what he believed was the motto for the band. Echo Sonic fits soulful rhythms and funky riffs into pop structured songs, truly unlike much of what you’ve heard in the local music scene. The band is made up of T.J. Genzale on guitar, Steve Munoz on bass, Aaron Turner doing vocals, and brother Alex Turner on drums. 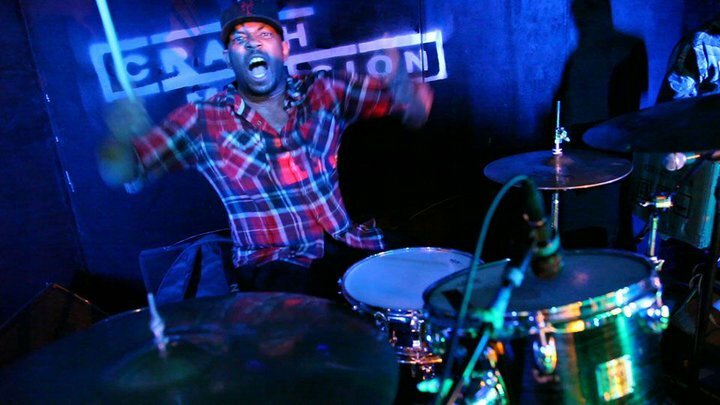 It is obvious that the band’s main influences are the Red Hot Chili Peppers and The Roots, two groups known for their high energy stage presence. Turner explained that Echo Sonic always tries to go all-out to make a live show unforgettable for their listeners. The band’s chemistry is undeniable, and their music is in fact something refreshing to the ears. 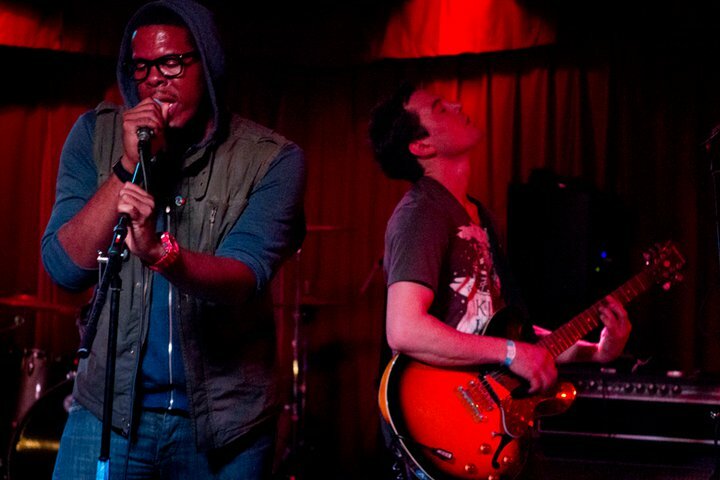 Echo Sonic’s sound is a blend of hip-hop, funk, jazz, and rock all rolled into a catchy tune. The guys pride themselves on their musicianship, so while striving to put on a great show, they also deeply care about the structure of their music. Their EP “Killer Daydream” came out last year, and you can be sure to hear some of those tracks along with some other jams at the Off The Walls Block Party this Saturday, August 24. For now, Echo Sonic is focusing on building a great new record that can be released early next year. Here is a bit of what Turner had to say about the band’s sound, its evolution, and its future goals. Tell me a little bit about yourself, where on LI you’re from, & how long you’ve been involved with the band. I’m from Amityville, and I started the band in 2003 when I was in high school, but the buddies that I started it with decided that they didn’t wanna be a part of music anymore. And so I had given up on it for a while too, but then I restarted it in 2008 with this bunch of guys that are here now. And it’s been five years since. Are all of you guys pretty much around the Amityville area? No. My brother lives in Wyandanch now, I live in Amityville and Steve & TJ are from Smithtown. So we are actually on opposite ends of the world. What is your favorite local venue to play at? My favorite venue on Long Island, or really the East Coast, is the Brickhouse Brewery in Patchogue. I love that place. It’s nothing fancy, but it’s got the best people, the best audiences to play for. They’ve got the best beer and the best food. So that’s my favorite, it’s fantastic; every night there’s different live music going on. We ask ourselves this a lot. We’ve pretty much narrowed it down to the fact that we are the lovechild of the Red Hot Chili Peppers and The Roots. You know, like if those two bands got together. We take the more interesting and exciting elements of those two acts and fuse them together. And it’s kinda funny, because ever since we put that statement out there, our music’s been getting more and more like that. It’s been changing. But pretty much, TJ writes the bulk of the foundation of our songs and we write our own individual parts, which is good because everyone feels creative. Lately it’s been very much based around improvisation, which gets me really excited because as a drummer I don’t go home and write music in the traditional way; I think about drums and rhythms. To get together with the guys and come up with fresh ideas is awesome. Do you ever improvise at live shows? Lately, yeah. We did a show two weeks ago when we improvised a ton. When it’s good, it’s good. If it’s bad, it’s kinda embarrassing, and that’s why we kinda stayed away from it for a while. We’re getting more comfortable playing with each other and the chemistry is there. We are really starting to settle into a groove. Hopefully as our sets become a lot longer, we’ll improvise a lot more. I hope we can eventually open up a show with a jam. I’m very much into those types of riffs. It’s a big part of being an artist. What songs of yours are you most proud of? If I had to show someone one song, I’d show them October ‘89. If that song were to break through to people, it would be pretty groundbreaking for a pop song. Musically, it’s not pop, but it’s catchy. It’s like we found a rhythm that no one’s tapped into yet, that no one realized is pop. Give me a little-known fun-fact about Echo Sonic. I mean, besides being really handsome? But wait, that’s not really a secret. The sounds of August for me have been Radiohead, Motorhead, Gorillaz, Rebecca Ferguson, and this Japanese artist called Nujabes. Then there’s always Dizzy Gillespie, Charlie Parker, and Billie Holiday. It’s all over the place. I’m a big schitzo music lover over here. In only a few words, give your best description of an Echo Sonic show. Orgasmic fun with a burst of romantic brotherhood.